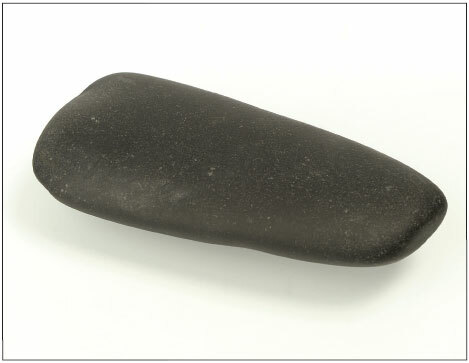 This polished stone axehead was found in 1991 during excavations at Ferriter’s Cove on the Dingle peninsula. It dates from about 4000BC – the Stone Age. It is one of the oldest archaeological objects in the Museum and it was crafted by Kerry’s earliest man. This simple, perhaps even dull looking, object is one of my favourites. Holding it in my hands provides for me a tangible link to individuals who lived 6000 years ago! Prior to the discovery of this axe, we believed that Kerry’s first people arrived during the Bronze Age. Now we know that they were here at least 2000 years earlier. As archaeological exploration continues what else will we learn of our earliest ancestor?